I've always dreamed of running through endless fields of flowers; the sweet fragrance, the cool breeze and the pure air. Wouldn't it be amazing? Just thinking about it makes me feel so free and happy. Living far away from the city, living off the crops we grow and the livestock we raise. Having all the time in the world to take care of my kids. For now though, I'll just have to settle with drawing flowers on my nails. Have you ever had the chance to run through fields of flowers? 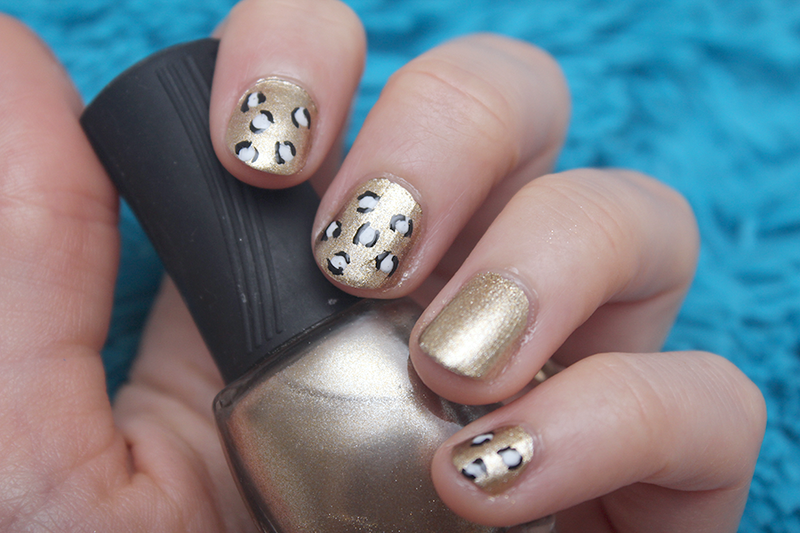 For this nail art I was looking to create something super quick, fresh and simple. I was playing around with my dotting tool trying to find different ways to use it and it occurred to me that I don't even need to put a base color before making my design. I love the clean look of this new nail art and I'm already planning other bare nail designs. 1. Using the dotting tool, in a circle, place 5 dots in a circle to form the petals of a flower. Do this as many times as needed to create the desired pattern as shown in the picture below. If you don't have a dotting tool you can use the tip of a pencil instead, or even a toothpick, anything will work. 2. Paint and yellow dot in the center of each flower and add a clear protective top coat. The more nail art I create the more I realize how much I enjoy being creative. With all the things I want to do every day, and the little time I have, this is definitely an activity that I seem to find time for. When I first started doing nail art I thought "Oh-My-God, this will take for-ever"... but you know what? It doesn't. It really doesn't. What takes the longest is thinking up what you're going to draw and which colors you're going to use. Once that's settled, the actual art takes a few minutes (obviously we're not creating anything super fancy here). If you add a quick drying top coat like Seche Vite, it'll be even faster. You should give it a shot if you haven't already!